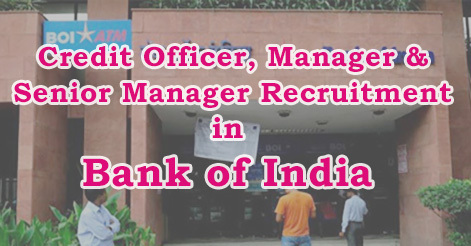 Bank of India, Mumbai has released a notification for the recruitment of Credit Officer, Manager & Senior Manager. Bank of India, a leading public sector bank invites applications for the recruitment of Credit Officer, Manager & Senior Manager. Candidate may apply for this post on befor 14 June 2016. Bank of India is commercial bank with headquarters in Mumbai, Maharashtra. The Bank has been the first among the nationalised banks to establish a fully computerised branch and ATM facility at the Mahalaxmi Branch at Mumbai way back in 1989. 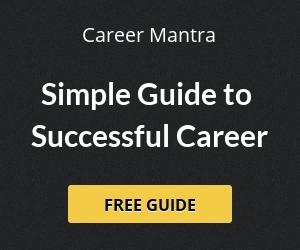 The selection process may comprise of written test and Interview. Candidates may register online for this post through www.bankofindia.co.in. Candidates can apply only online from 31 May 2016 to 14 June 2016 and no other mode of application will be accepted. After registration candidate are requested to submit online application fee. Help us to improve this article/job posting "Credit Officer, Manager & Senior Manager Recruitment in Bank of India". We would be glad if you can comment below and provide your valuable suggestions and feedback. If this page have any wrong information/list or out of context content, then you can report us as well. I want to ask that is BBA,MBA qualified candidate may apply in this recruitment examination?